Bright lights in the sky over New Zealand tonight were likely from a meteor, an expert says. Skywatchers across the North Island reported a possible meteor or space junk sighting about 9pm. Sightings were reported around the country, from Whāngārei to Auckland, to Rotorua, the Hawke's Bay and Nelson. 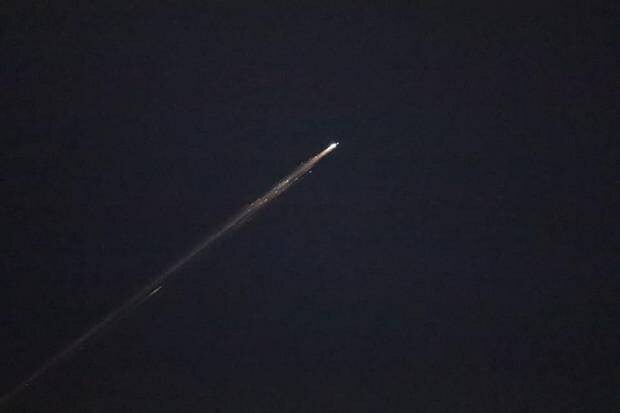 Auckland Astronomical Society president Bill Thomas said he couldn't rule out the light coming from a falling satellite, but he thought it more likely the cause was a meteorite. "There's a visible sort of tail, whereas a satellite [is] like a point of light moving across the sky ... bright [meteorites] like that one as not that common in the one place, but they're common worldwide." Photos posted online showed a dazzling light in the sky. The camera crew operating during tonight's Black Caps v Sri Lanka ODI at Mount Maunganui caught a glimpse. 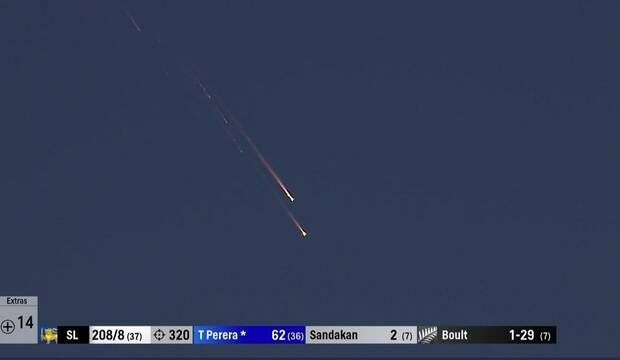 The meteor was spotted on camera during the Black Caps v Sri Lanka ODI, while many sightings have been reported around NZ. Graham Billings was having dinner at an Italian restaurant in Whāngārei when he spotted something in the sky. Full story at the link at the top. From what I've read, this was most likely space junk. The way it was breaking up passing overhead makes me think the same. Apparently there was a Russian weather observation satelite in the vicinity but not due to reenter for a week or two. GEMINIDS METEOR SHOWER, December 13/14, 2012.